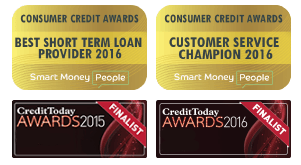 We are pleased to announce that Mr Lender has been shortlisted for a top industry accolade at the Credit Today Awards 2015. This annual ceremony brings together the very best of the credit industry, recognising innovation and best practice in providing a truly outstanding service. Mr Lender is a finalist in the category ‘Alternative Lender of the Year – Mid/Short term‘. The entry criteria for this award are very stringent and cover a number of factors around customer care, clear communication, innovation, systems, best practice, customer feedback as well as internal focus on the development of our staff. We are naturally thrilled to be named as a finalist, as this reinforces our beliefs in us being a forward-thinking, innovative business which provides the very best service for our customers. The awards ceremony takes place on 14 May at the Grosvenor House Hotel in London. Previous Previous post: Have you got it covered?